In preparation for the two games, Football Association of Malawi (FAM) has released a list of players to undergo non-residential training camp which will start on 21st January 2019. The Malawi Senior National Team and the Malawi Under 23 National team will be engaged in the 2019 AFCON and 2020 Olympic Qualifiers respectively in March. 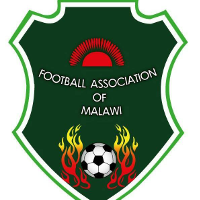 Concerned football fans in the country have called for immediate dismissal of Flames Coach, Ronny Van Geneugden (RVG) and Football Association of Malawi (FAM) President, Walter Nyamilandu.